HomeCinemaHollywood GossipIs Sharon Osbourne The Secret Daughter Of Liberace? Is Sharon Osbourne The Secret Daughter Of Liberace? Well, they DO look alike! 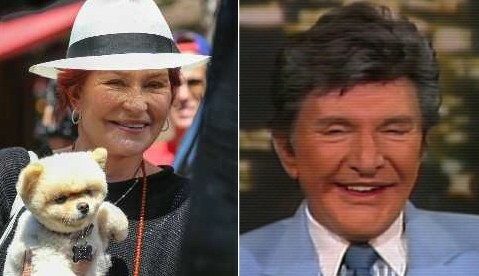 Maybe it’s time to cut back on the surgery and fillers because Sharon Osbourne is starting to resemble Liberace! She admits to having continuous “maintenance” like Joan Rivers, but it may be getting out of hand. Her little dog is adorable, however. Google Blogger off-line. Cloud computing has a storm.